Pallival, went riding a horse with a procession and a band party to receive his iPhone X at 6:30 pm at Thane's Hariniwas circle. THANE: A man from Thane's Naupada district surely made headlines with his recent stunt, wherein he took a rather unconventional route to get his pre-ordered iPhone X. 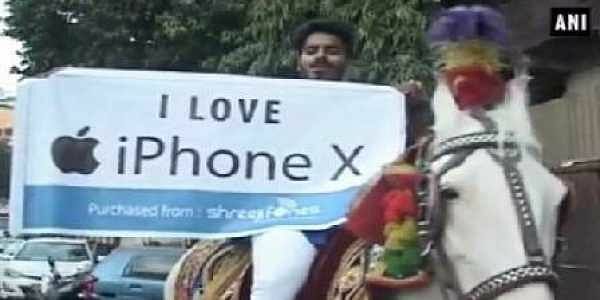 Sitting on a horse and holding a placard that read, “I love iPhone X,” he had a procession and a band party follow him to the store.